All sales made by the Company are subject to the following terms and conditions. Nothing contained within these terms and conditions affects your statutory rights as a consumer. Please read the following terms and conditions. If there is anything you don’t understand please feel free to contact us. 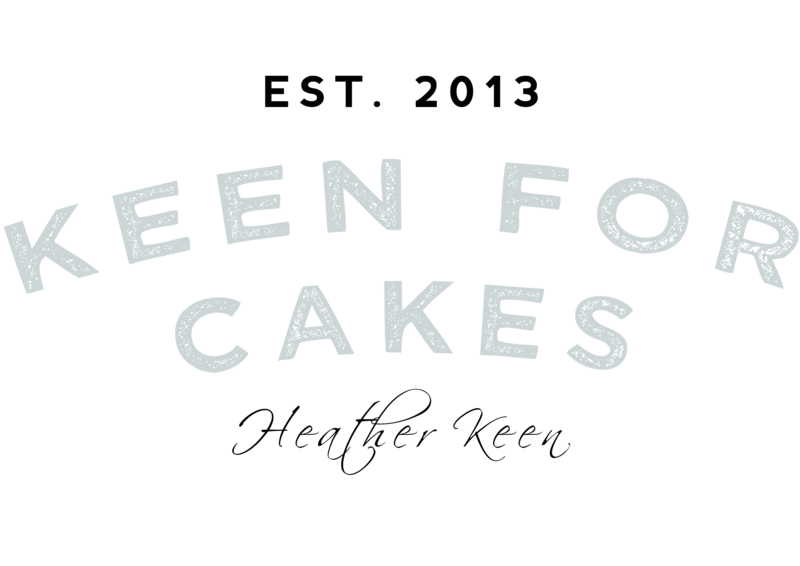 BOOKING FEE: Once you decide to place an order with keen For Cakes, Initially we will require a £50.00 booking fee (less save the date if applicable) and this will be deducted from your final cost. 6 MONTHS OR LESS UNTIL THE WEDDING: We will need to finalise your design requirements at least 6 months before the wedding date at which point a 50% deposit (less £50.00 booking fee) will be required. 4 WEEKS BEFORE THE EVENT the final 50% BALANCE IS due four weeks before the event. BOOKING FEES/ SAVE THE DATE FEES are none refundable and none transferable. All booking fees and/or deposits become due when the order has been placed and details checked and agreed by you. All orders are deemed to have been accepted only when the booking fee or deposit has been paid. Any final balance or other amount paid up-front in advance shall be forfeited (unless waived by the Seller at their absolute discretion). Automated payments – Direct Bank/ Building Society Transfer Sort Code 09 01 28: Account Number: 40472077. Please insert your name as the reference on any transfer. Cash can be paid directly to the above bank account. We prefer payments to be made prior to collections as we do not always have cash available on site to provide you with change. Cheques made payable to Keen For Cakes. Final balances should be received days before collection or delivery. Final payments for all orders must be made at least 28 days prior to delivery/ collection/set-up or as stated on your order form. In the event that any payment is subsequently declined, the order will not be completed or released until alternative funding arrangements have been agreed and payment is made in full. Subsequent completion of the order will be subject to availability and cannot be guaranteed. The Company accepts no responsibility for any loss howsoever caused or for non-delivery under these circumstances. The customer will be responsible for the payment of any additional charges which have been incurred as a result of payment failure. Your cake is very important to us. Please take the time to check your copy of the order form carefully and let us know within three days if changes are needed. It is your responsibility to advise the company of any alterations to the original order. The Company reserves the right to increase a quoted fee and apply an administration fee of £18.75 in the event that the Customer requests a variation to the work agreed. Whilst every effort will be made to assist customers, please note that late changes cannot always be guaranteed. From time to time certain materials for our celebration cakes and wedding cakes may become obsolete or no longer be available from our suppliers, for example, premanufactured items or ribbon colours. This is totally out of our control, however, we will endeavour to re-design a cake to reflect as closely as possible the original design using replacement products. In all cases we will try to contact you to advise you of any such changes, however, the Company reserves the right to replace these components of equal or better quality without consultation. If a customer requests fresh flowers on their wedding cake it is the customer’s responsibility to liaise with their florist to determine the type of flowers to be used. It would be helpful to communicate this decision to the cake designer. We are happy to contact the florist to discuss amount and size of flowers needed. The cost of fresh flowers is not included in the cake price. The cost of fresh flowers needs to be settled with your florist. Please note some flowers are toxic. It is the customer’s responsibility to ensure that any fresh flowers displayed on or next to the cake do not contain pesticides and are food-safe. Keen For Cakes can take no responsibility for the flowers being food-safe. If Keen For Cakes is required to arrange and attach flowers to the cake there will be an additional charge and the minimum cost for this is £16.50. This must be agreed prior to set up to ensure that we have the correct equipment and materials available on site. Your order may be collected at a pre-arranged time between Monday and Friday 9 am to 6 pm. If you wish to collect outside of these times please contact us and we will do our best to help. A signature is required upon collection confirming that you have received your order in good condition and as specified. We are able to offer personal delivery locally. Your order can be delivered between 9 am and 6 pm Monday to Friday or 9 am and 2 pm on Saturday unless a prior agreement between you and the Company. All times are subject to availability. If you have a specific delivery date and require delivery before a given time, please specify this when placing your order. We will do our best to accommodate your requirements. It is the customers’ responsibility to ensure that you have given us correct delivery information and that someone is available to receive your cake. A signature will be required for the receipt of the order upon delivery. If the recipient is not in the order will be returned to the company who will contact you to arrange an alternative delivery time for which an additional charge will be payable by the customer. Please note that in extreme weather conditions, such as heavy snow, flooding, Gail force winds etc, we may not be able to reach your venue or consider it too dangerous to deliver. Whilst your delivery charge will be refunded we will not be held liable for no delivery in these circumstances. Similarly, in heatwave conditions, your wedding cake is susceptible to softening, melting and potential damage in transit. The above circumstances are extremely rare but we will not be held liable for no delivery or damage in transit in these circumstances. The company accepts no responsibility for any loss or consequential loss incurred by the customer as a result, e.g. a wedding without a wedding cake. We strongly recommend that you take out wedding insurance to cover such eventuality. Should you require your cake to be delivered the company will deliver and set up your cake as agreed and will want to ensure that it is displayed at its best. It is your responsibility to ensure that you have provided the company with the set-up details and arrangements made with the venue for the location and display of your cake. The company cannot be held responsible for the location of the cake at the venue. Please ensure therefore that the display location is level, stable and strong enough to hold the cake. Please also remember that cakes containing or covered with Chocolate / Buttercream / Ganache etc can melt in warm conditions such as inside a marquee on a hot summers day or when set up in direct sunlight. To meet with Environmental Health regulations cakes made using fresh cream / ganache / cream cheese should only be left out of cold storage for a maximum of four hours before being eaten. The Company will accordingly deliver to the venue at a suitable time to allow this. The Seller will accept no responsibility for any cakes which are not dealt with in this way. Once the cake has been collected or delivered, set up and signed by the Company is unable to accept any liability for any interference with or damage to the cake thereafter. If a cake is to be delivered and set up by the company a signature will be required from your venue management confirming that the cake has been received and set up in good condition. A photograph of the cake will be taken prior to departure by the company to verify that the cake has been set up and left in good condition. All efforts will be made to complete your order, however, the Seller reserves the right to provide a cake or ‘fake cake and cutting cakes’ of the same quality and similar value to complete the order. A refund may be given but must be agreed at the point of delivery or collection. No liability for loss will be accepted. Full payment is required if cancellation is within 2 months of the delivery date. Please note that no person shall have an entitlement to copy or reproduce in any form, or otherwise make use of any image, photograph, design or other document or item produced by or on behalf of the Company without the prior written consent of the Company. By signing the Order Form the customer agrees that the Company is the sole designer and owner of the final cake design. All rights in any original designs created and designed by the Company shall remain the exclusive property of the company. From time to time our designs are published in the media, e.g wedding magazines. We reserve the right to use any image of a customer’s cake made by the Company for publication after the delivery date unless previously agreed in writing between the Customer and the Company. The Customer has no ownership rights over any cake design. Exclusivity of cake designs between our Customers is not guaranteed unless the Customer commissions an exclusive design. Please note cakes with sponge tiers/ cupcakes may not be completed until the day prior to or the day of the celebration to ensure the cakes are as fresh as possible. Please prearrange viewings of any wedding cakes ordered. The Company accepts no liability for any omissions or errors on wedding cakes if they are not viewed by the customer prior to the wedding.